We want people who enjoy our wines to come to the place where they originate: to the vineyard and its natural surroundings. 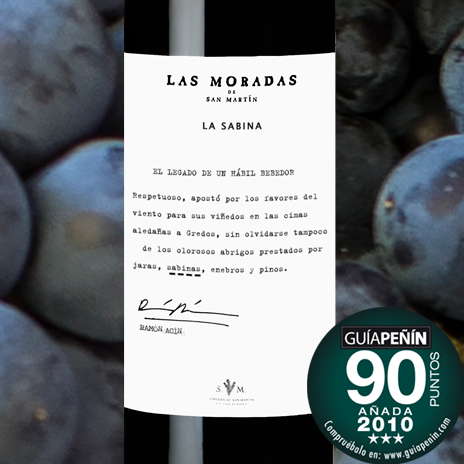 The hilltops with their poor soils composed of granite sand, giving the wines depth and mineral notes, together with the natural acidity of the grapes, are the key parameters of Las Moradas de San Martín. Long, enveloping wines that are subtle and elegant and at the same time lively and fresh, with a surprising capacity for aging considering the variety. This “youthfulness” of the wines establishes guidelines for our work and has made us reconsider the use of sulphites as a preservative because the synergy of low yield, sandy soil and excellent acidity themselves act as natural preservatives, allowing us to limit sulphite use. It is a project in which we have had to break down important stereotypes and start from scratch to get to know our own raw material well, without any outside agents concealing or distorting its true nature. Clean and bright with deep cherry red colour giving way to an attractive crimson tinge at the rim. The Garnacha is clearly distinguishable on the nose, a variety with great aromatic complexity. Subtly sweet aromas reveal blackberry jam, prunes, orange blossom, liquorice and cocoa alonside a variety of wild, aromatic plants on a mineral background. On the palate it is lively, elegant, mouth-filling and structured with a deep, lingering persistence that makes it unique. Gold Medal: XXIII Viñas de Madrid Edition. Gold Medal: Concours Mondial de Bruxelles. Deep red cherry colour. Complex aromas on the nose; blackberry jam, raisins, liquorice and cocoa against a mineral background with balsamic nuances of rosemary and thyme. The wine packs a punch on the palate. It is elegant, mouth-filling and well structured with a delightful meatiness and pleasant persistence. Gold Medal: Challenge International du Vin, France. Gold Medal: Grenaches du Monde, France. Gold Medal: Mundus Vini, Germany. Special Award: Viñas de Madrid 13th Edition. Gold Bacchus: Unión Española de Catadores, Spain. 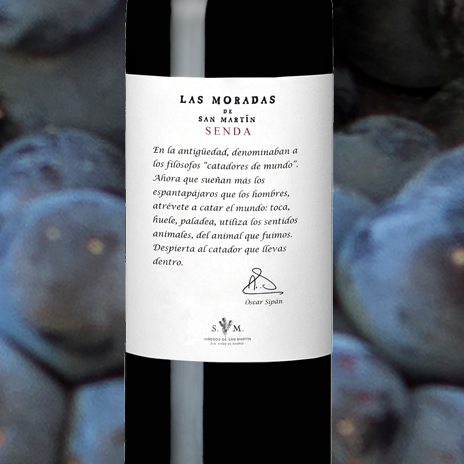 Fresh and aromatic, this wine truly represents the spirit of terroir of the Garnacha from the Las Moradas estate. Attractive and stable cherry-red colour. 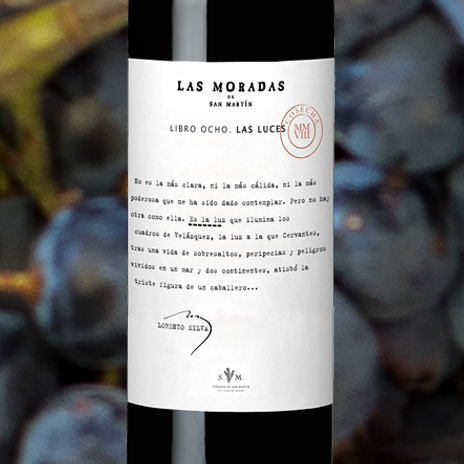 This wine reveals typical characteristics of the Garnacha variety; floral aromas alongside those of plum and low mountain scrub against a mineral background typical of granite-based soil. The personality of the fruit is strong with subtle hints of oak enhancing the overall experience. Satisfying on the palate with a lingering finish. Gold Bacchus, Unión Española de Catadores, Spain. Picota cherry red colour of medium intensity. Pleasant aromas characteristic of the Garnacha variety on the nose; plums, liquorice and aromatic plants such as fennel. Powerful on the palate with excellent acidity. Mouthfilling fruit and a hint of dark chocolate give way to a lingering mineral finish.